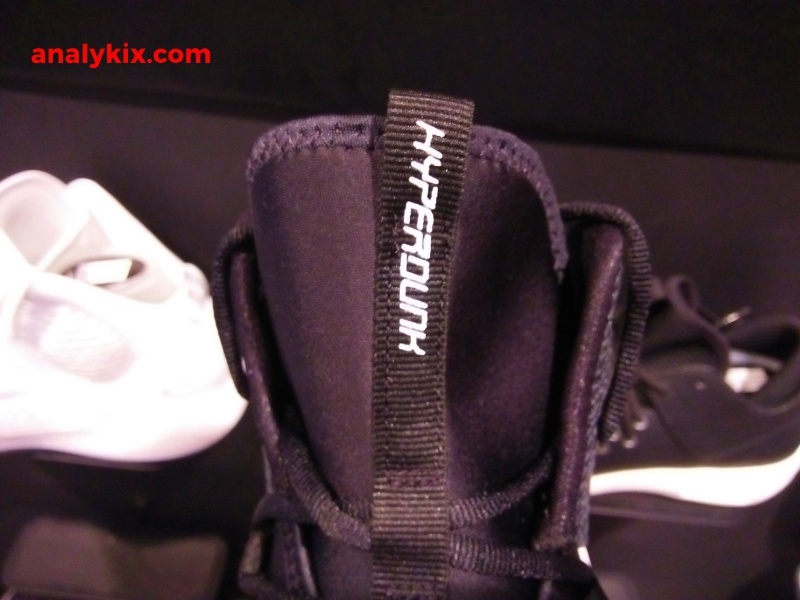 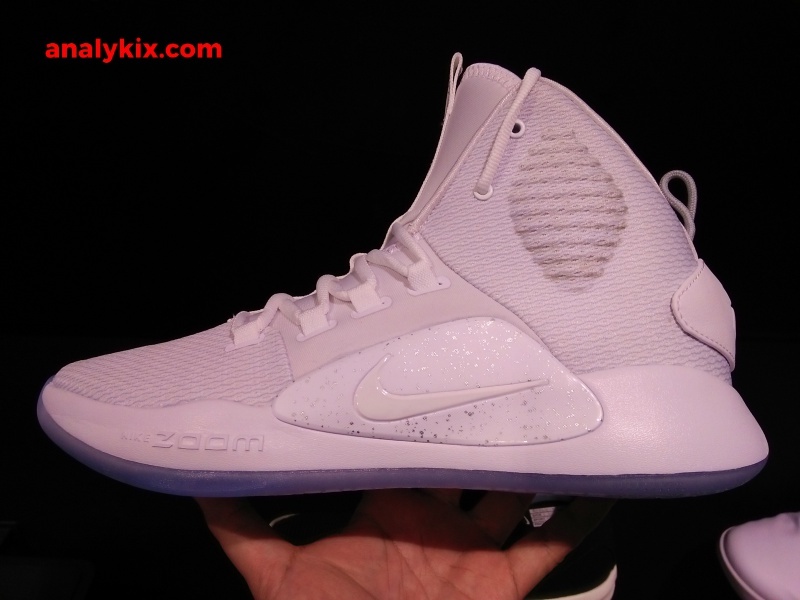 The Hyperdunk X is now available in the Philippines and here are some in-store images from Nike Park in Trinoma. 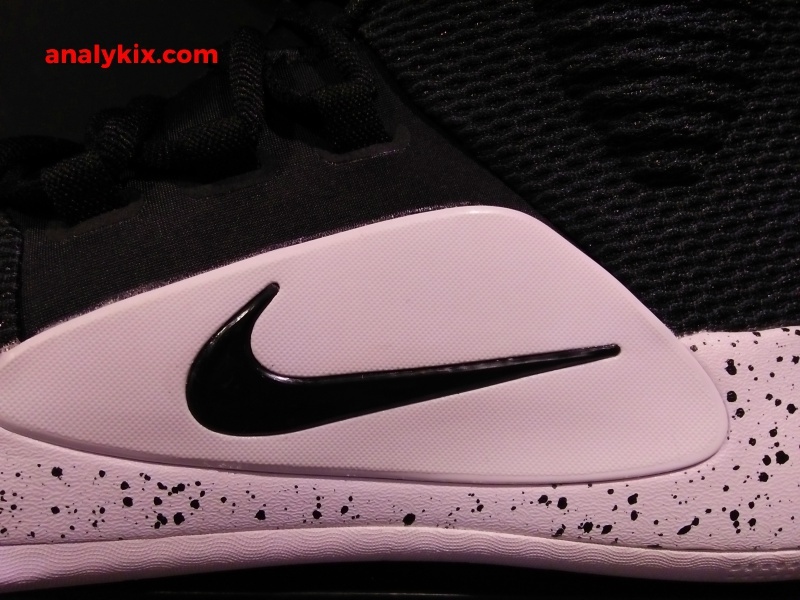 Two colorways are available now (black and white based) which is made up of textile upper keep it light requiring little or no break-in time at all. 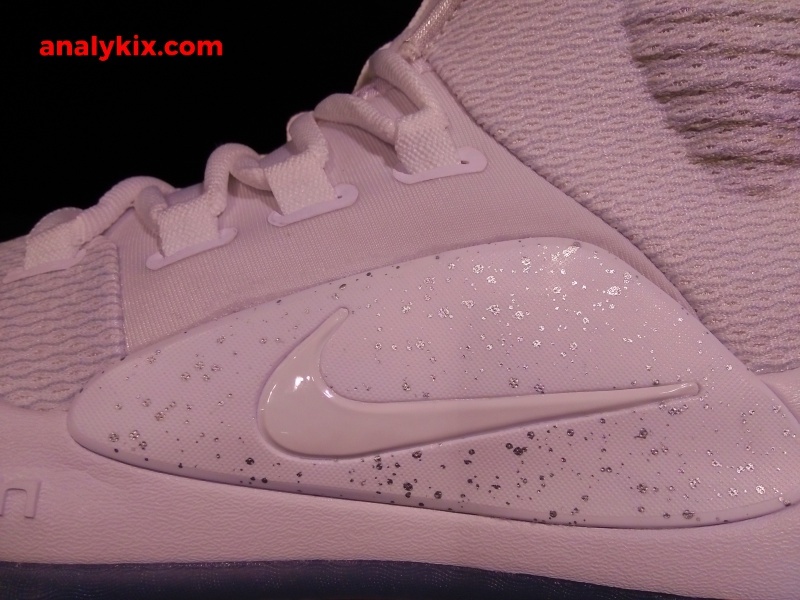 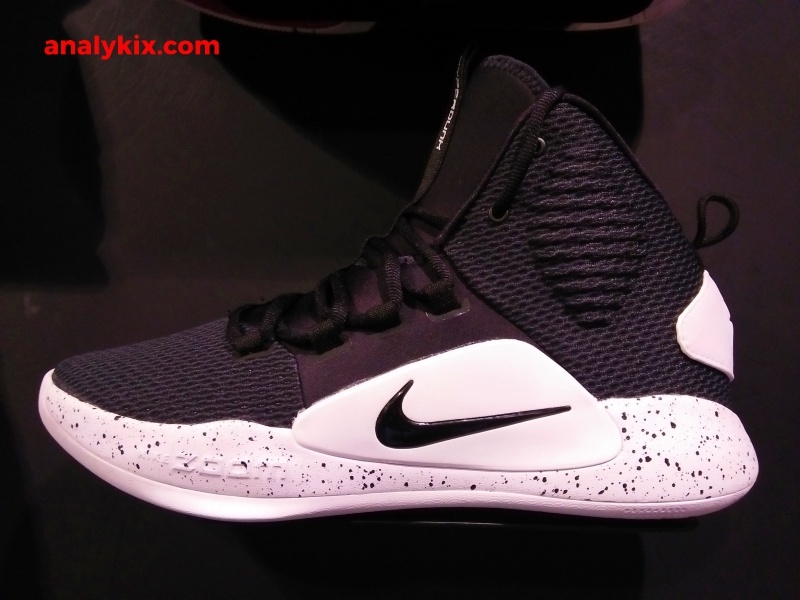 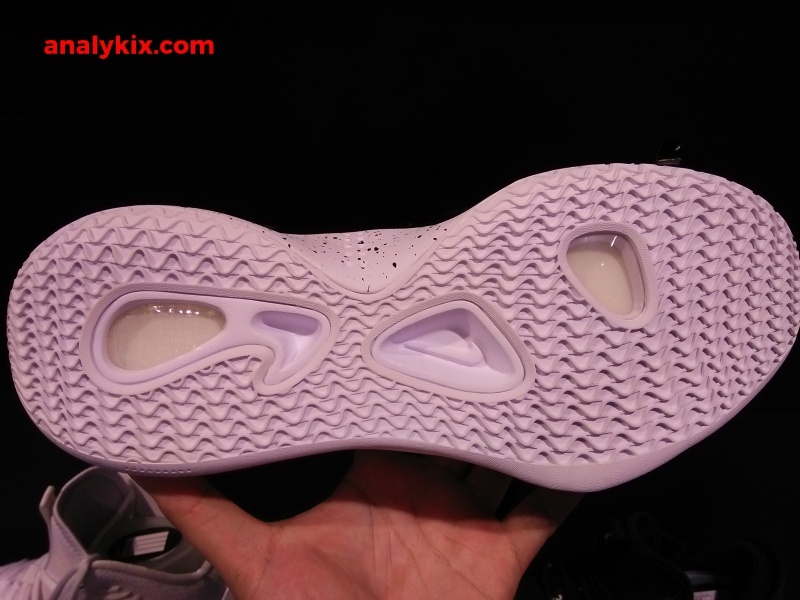 These are hightops and knowing that the this is being pushed as a team shoe, lowtop version is sure to drop pretty soon. 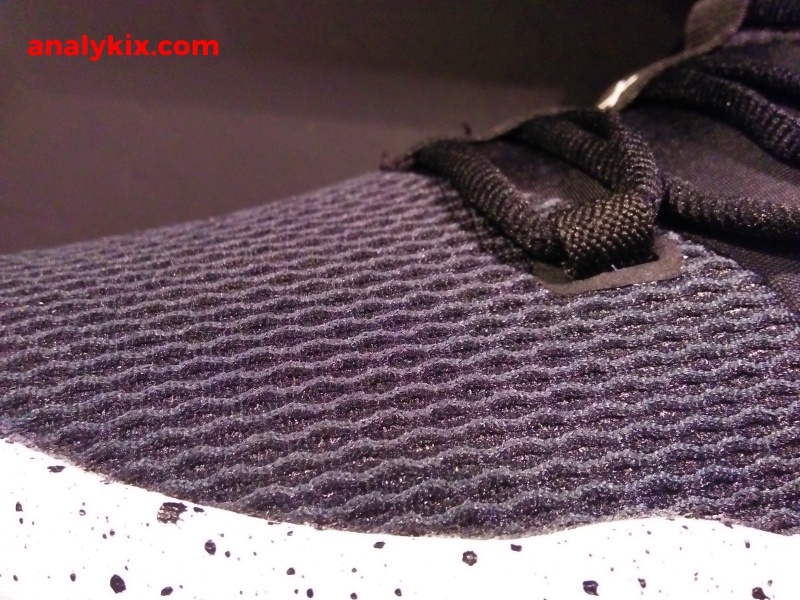 A neoprene like material can also be seen in the midfoot area to give a snug fit. 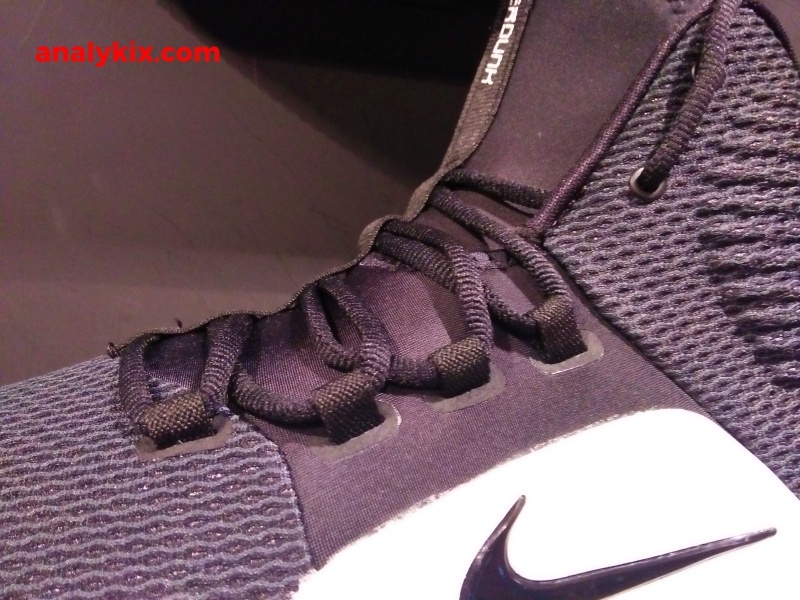 The adaptive lacing system will surely secure lockdown in that area together with that piece where the swoosh logo is located to cage the foot laterally. 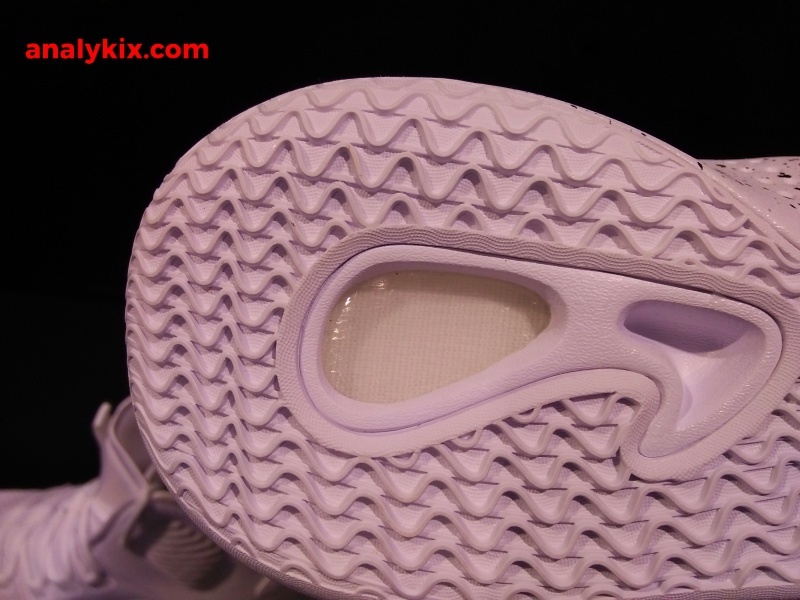 Cushioning is made up of a forefoot and heel Zoom unit whether you are a guard or an agile big, the responsiveness and impact protection would be very helpful. 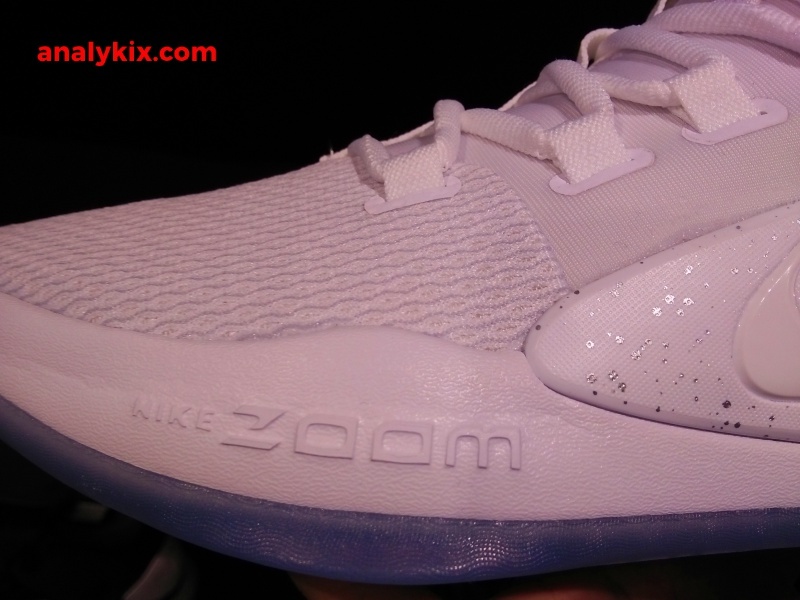 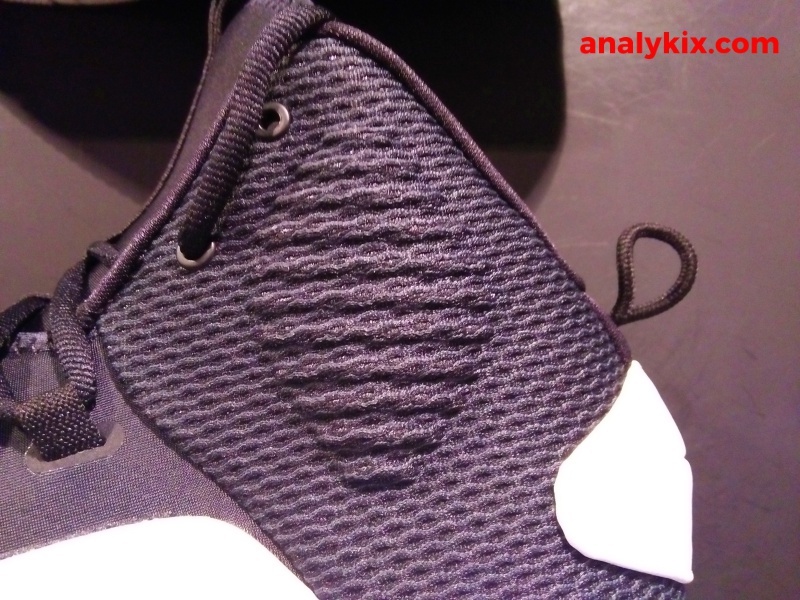 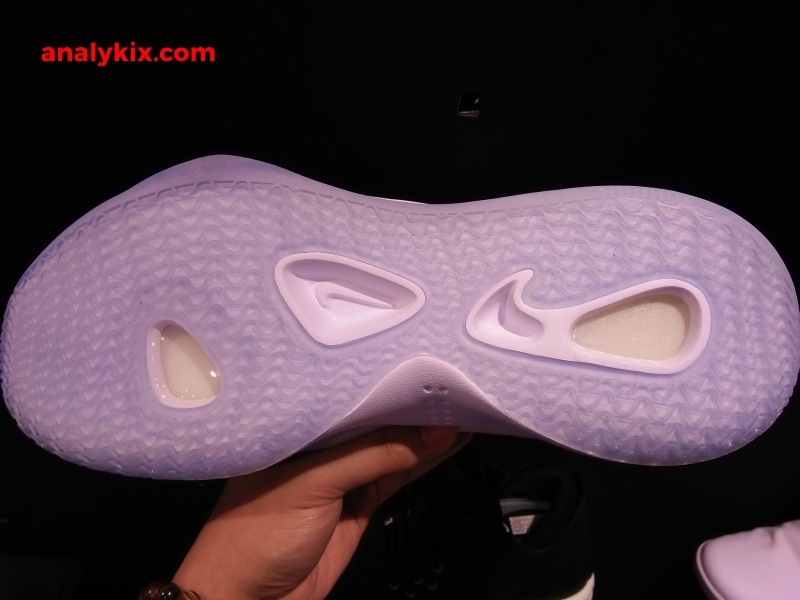 The rubber outsole will vary depending on the colorway. 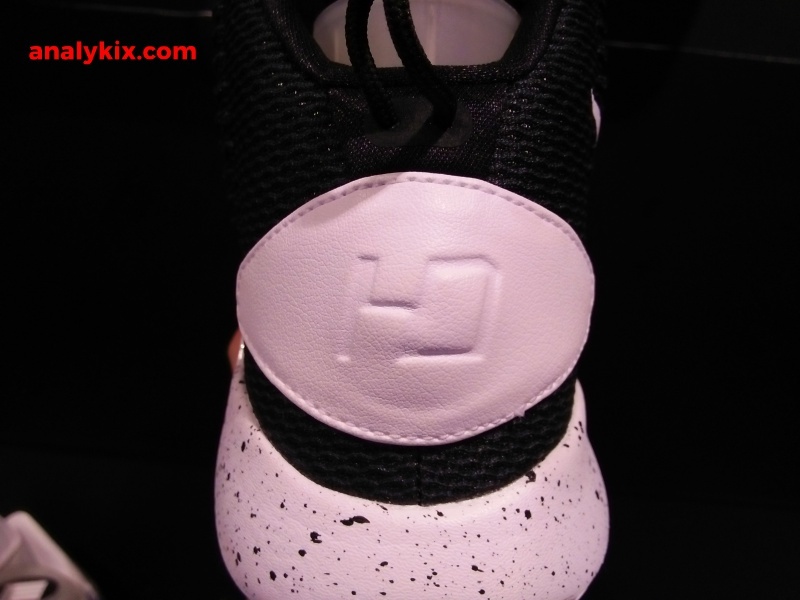 As for the moment, the black colorway will have a solid rubber outsole while the white colorway has a translucent rubber outsole. 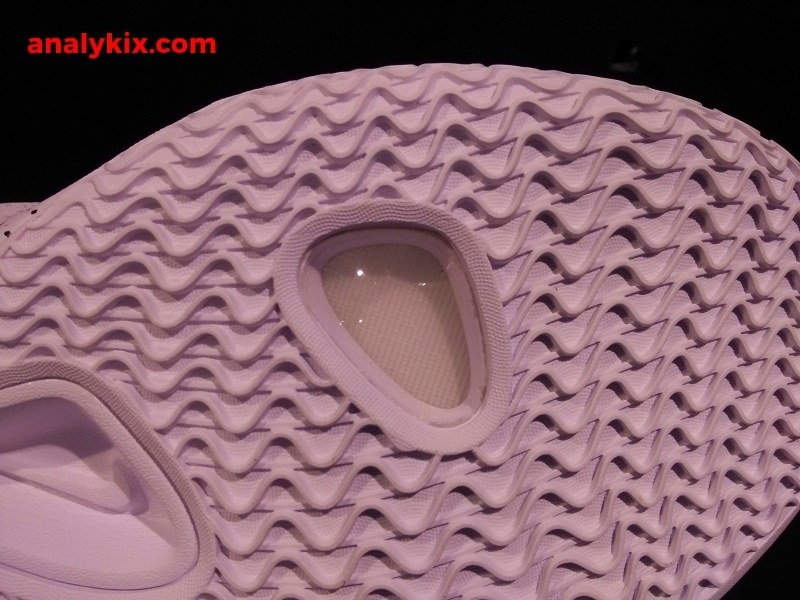 The traction pattern is a wavy herringbone that runs sideways. 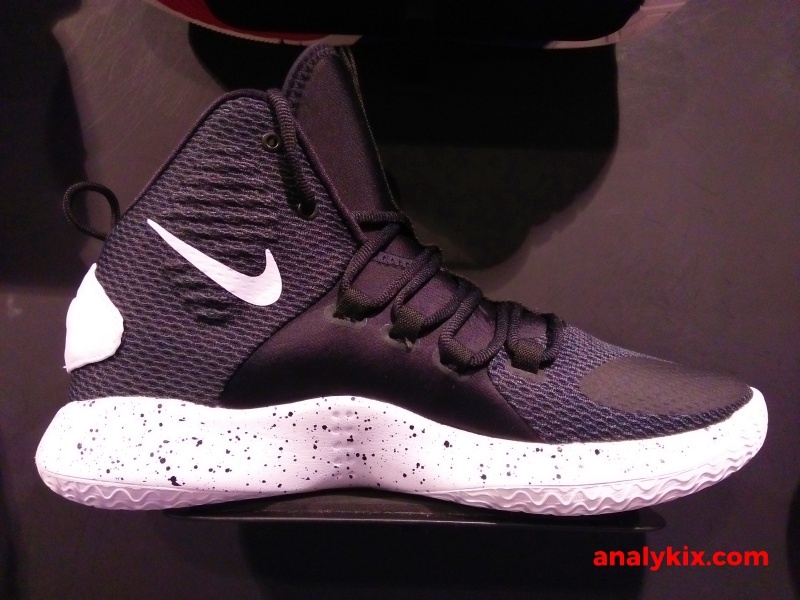 As I said earlier, these are available now at Nike Park in Trinoma for Php 6,745.